Actor Salman Khan will refund distributors to compensate for losses incurred by his Eid release Tubelight, reported trade analyst Komal Nahta. In a tweet on Monday, Mr Nahta wrote: "Salman Khan has agreed to refund money to distributors to make up for losses in Tubelight. A lovely gesture. That's being human." Tubelight's numbers have fallen far short of those achieved by previous Salman films, with its current score at Rs 114 crore after three weeks in theatres - a sum that is paltry compared to the likes of Sultan and Bajrangi Bhaijaan which collected 100 crores in three days. Box Office India reports that Tubelight failed to make even a crore in the first few days of its third week. SalmanKhan has agreed to refund monies to distributors to make up for losses in Tubelight. A lovely gesture. That's being human! There has been no official announcement from the 51-year-old superstar, who has also co-produced the film. Compensating distributors for losses is not unheard of - superstar Rajinikanth has been known to do so. Here's a detailed analysis of Tubelight's performance at the box office so far. Tubelight's relatively dismal performance is underlined by the fact that it released on Eid, as is with Salman Khan's films. Salman hasn't had an Eid flop since 2011's Bodyguard. 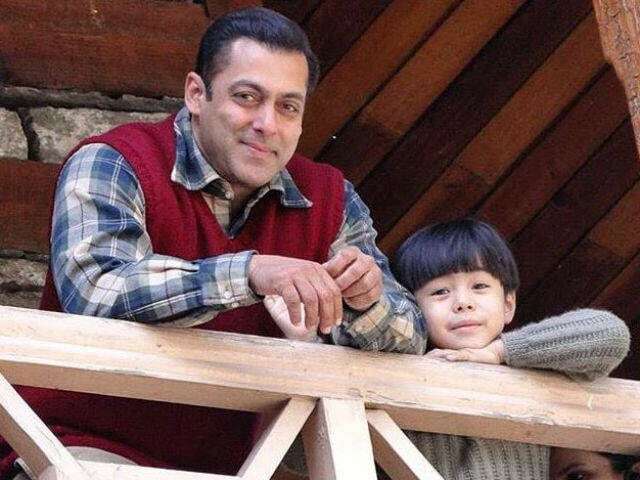 Trade analyst Taran Adarsh described the film as having been "rejected" at the box office - Tubelight took seven days to cross the 100 crore mark, making Rs 106.86 in its first week. Now, Box Office India reports that Tubelight has scored the least of all Salman Khan's films since 2011's Veer: "In terms of footfalls it's the worst Salman Khan performer since Veer in 2011." Tubelight released on June 23 and expectations were high, according to the standards set by Salman Khan for himself. In a prediction previously made by Box Office India, Tubelight's numbers were expected to match those of films like Akshay Kumar's Airlift, Shah Rukh Khan's Jab Tak Hai Jaan (2012) and Ajay Devgn's Singham Returns (2014) but now, it appears that Tubelight's lifetime collection will hover around Rs 115 crore. Tubelight also stars Salman's brother Sohail Khan in a prime role and is the last film late actor Om Puri starred in. Set against the backdrop of the 1962 Indo-Sino war, Tubelight also features Chinese actress Zhu Zhu and eight-year-old Arunachali actor Matin Rey Tangu.